Located at the end of Echo Park Avenue is a hidden Spanish bungalow nestled into the lush hillside. This 1925 re-imagined unit basks in a warm light with original hardwood floors and an abundance vintage windows, original stained glass panel door, cove ceilings and loads of character details. Sweeping views from a private deck provide a seamless outdoor flow. 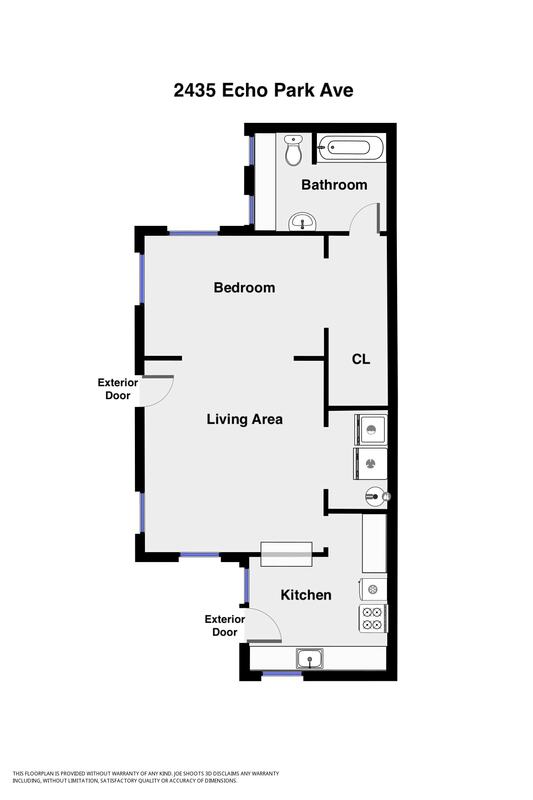 The interior features an open layout, with in-unit washer/dryer and walk-in closet. Tastefully updated kitchen with butcher block countertops, Smeg refrigerator, restored original cabinetry and modern fixtures. The private patio off the living area is surrounded by greenery with peek-a-boo north views. This is truly a unique oasis in the heart of the city. Single car garage and new mini-split AC/Heat are just some of the amenities of 2425 Echo Park Ave. Minutes away from Cookbook, Yogala, Ostrich Farm, Pollen, 365 + everything Echo Park. Intimate 4-unit community with low HOA’s. New TIC (tenants-in-common) community. Financing available with as little as 10% down through Sterling Bank. Contact listing agent for more info.